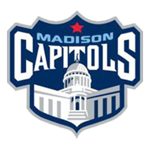 Once again, the Skinner Stickhandling and Skating School is coming back to Capitol Ice Arena!! This camp will fill up fast so register today and secure your spot. Middleton 18U won the McGuire Cup Championship in the Dells !!!! 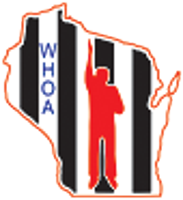 Awesome work from our MYHA Midget players and special thanks to Waunakee partnering both players and coaches for this steadfast season!!!! CONGRATULATIONS BANTAM C AND BANTAM B!! It was a great weekend of hockey at the State Tournaments. Bantam C made it to the finals and lost a tough game against Hudson to take Second Place!! Bantam B lost to Superior in the Semi-Final game and ended up winning their last game to take Third Place!! Thank you so much for all the love and support you have shown me and the Sanger family. The Super Noah Fundraiser that took place at Madison Ice Arena on January 26th was a HUGE success! I am beyond thankful for everyone who came and made that day possible including the Middleton High School boys hockey team. Thanks for backing such an important cause! It was such a great afternoon full of fun activities, amazing homemade food, and of course, hockey! It is awesome to see all the Super Noah stickers and bracelets out there showing awareness. The Sanger family and I appreciate all of you more than you know. Our mission, however, is far from complete. Every 3 minutes someone in the United States is diagnosed with a blood cancer. Our goal is to raise at least $50,000 for the Leukemia and Lymphoma society to help fund cures, treatments, therapies, research, etc. in hopes that one day everyone, including Noah, will live in a world without cancer. Thank you again for everything! Let’s stick it to cancer! When we surveyed our membership during this offseason, improvement of club culture was a recurring theme we were hearing. This is the first step in delivering on that improvement. There are so many ways that a program like this can benefit you and your kids. Plus, it is something we as a club can leverage immediately this season. Coach Reed Maltbie from CtGP will join us on Sunday October 21st at the Middleton PAC. The parent session will run from 2:30-4:00pm and the coach session will be from 5:00-6:30pm. See the attached flyer for more details about Reed and the planned discussions. Registered but not getting emails? If you are registered but not getting/seeing emails, please check out the tips on this page located after Preseason off ice. MYHA emails are sent through the website to the email address(es) associated with the account used to register the players. Check your spam folder! Some servers, such as Gmail and Yahoo, seem to have increased their security settings causing our large distribution emails to be tagged as Junk. If you want our emails to be sent to additional email addresses, log into the SportsEngine account used to register your player, click the arrow next to your user name at the top of the page, and select HOUSEHOLD from drop-down menu. On next screen, select the player profile name under Household and click the Add Email Address button for prompts to enter additional email addresses. Subscribe to all emails under ACCOUNT SETTINGS -> NOTIFICATION SETTINGS. Add "no-reply@sportsengine.com" to your address book. If all else fails, messages can be viewed on the website (but not on the app) by logging into the account used to register the player for tryouts and clicking on the mail icon at the top of the page. It's not very convenient, but it's better than not getting the messages at all. These area spring and summer On and Off Ice Training options are not associated with the Middleton Wings. Posted are a mix of both for-profit and non-profit opportunities. If you have a program, camp, or training service available that would be of interest to our members, please contact our web admin with details at middletonwings@gmail.com . Stay tuned for more updates as they come in. Show Your Support For NOAH! Hockey is a tough sport. 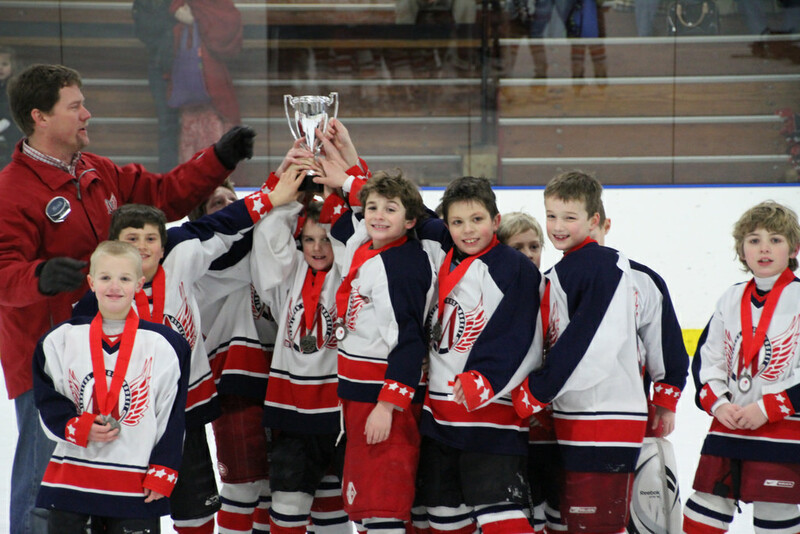 From the first time on ice when kids have to learn to pick themselves up after a fall through the highest levels of competition, this sport demands physical and mental toughness. We have a great young skater in our Cross Ice program, Noah Sanger, who is facing a different sort of challenge…a battle with Leukemia. For those that have met Noah, you’ll know of his courage and toughness. He’s an active kid that plays hockey, soccer, and loves to play with his younger brother…he is an inspiration to us all. The good news is Noah has a great support team, from his family and friends to his medical team, to his hockey family. To help Noah and his team as they fight this battle, Middleton Youth Hockey is offering each player the opportunity to show your support by purchasing a “SUPER NOAH” helmet sticker. These stickers will be available through your Team Rep, Age Level Director, or call/email Steve Chafe steve.chafe@gmail.com 608-358-6606. Your donation of $5 will go to the Leukemia and Lymphoma Society to fund research and family support for those affected. Levels available for age 3-18! First RWB is planned for Oct 1. Practices will typically start between 5 and 5:20 on M/F with 6:30/6:40 times on Wednesday as well as a few Saturday dates mixed in. Game will be Sundays starting in November. 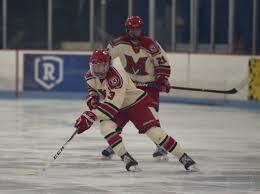 MYHA Players are encouraged to wear red helmets, red breezers, and red gloves. Officiating Seminars start in August. Check out https://dchoa.org/ for more information. WAHA State Tournament Consolation Champions! 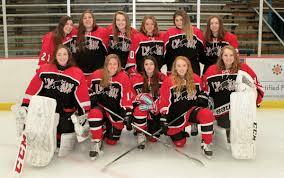 Please email any Spring & Summer hockey, sports, & conditioning activities that would be of interest to our members to middletonwings@gmail.com . Have questions about our association or not sure how to get started? Use the following helpful links or contact a board member for assistance. View the levels of play that Middleton offers. Details on registration for the upcoming season. Have questions and can't find the answers? Contact a board member and we'll help you out!